Over the next two years these great employees moved the company forward and not only did they get a share of the action, one eventually bought the entire company. Mike Chwelos’s ambition and dedication coupled with technical training in the field as a drilling engineer (looking after six rigs at a time not just one, we were often reminded) made for a win- win combination. Mike knew the value of a hard earned dollar, and the risk of too much debt, lessons we still use in managing the ups and downs of the oil patch. 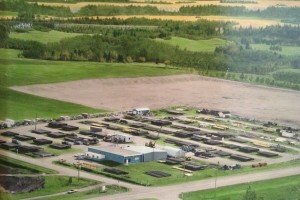 From the used pipe and equipment game and one location in Blackfalds, Northwest Pipe & Supply Co. Ltd. expanded into new pipe distribution, trucking services, stores, rentals and manufacturing. The second generation of this family business got involved in 1979, when Mike hired his daughter Debi DeBelser to help with the backlog of invoices. Fifteen years later, Mike decided to retire and Debi was there to steward and expand the company. By 1997 Northwest Pipe was large enough to be split into three separate operating companies, Northwest Pipe Ltd., NWP Trucking Corp., and NWP Industries Inc. Another division, NWP Construction Ltd. was added in 2000. By 2005 the companies were in many different locations throughout Western Canada and two of the entities were successfully sold to public companies in early 2006, allowing a move to larger facilities for the manufacturing division of NWP Industries Inc.
Today, NWP Industries Inc. employs over 100 exceptional people who know the values of hard work, customer service and quality. 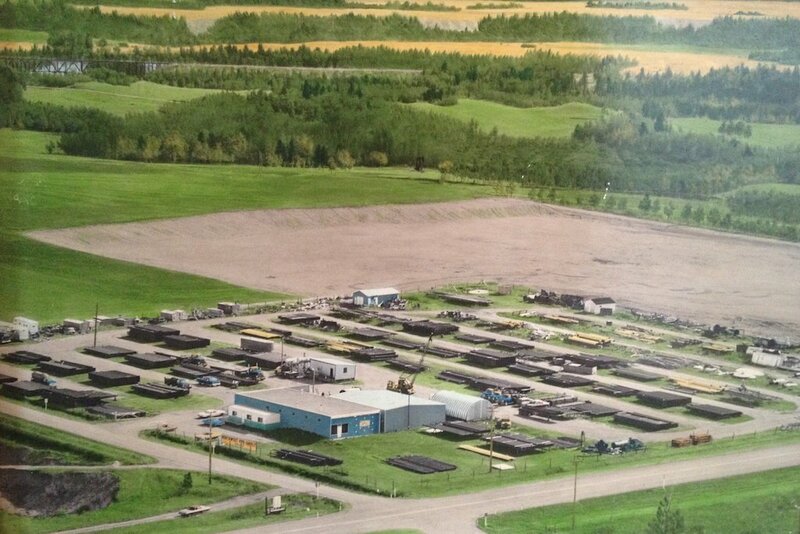 We still have our roots in Blackfalds, with store distribution, rentals and yes, used pipe, but we have also grown into one of the most respected manufacturing companies in the patch. NWP has the honour of building and distributing equipment for some of the world’s most prestigious oil and gas companies. In the very beginning, Northwest Pipe promised excellent customer service, quality, and fair pricing. We wouldn’t still be here 50 years later if we hadn’t delivered on all those promises, over all of those years. So whether you call us NWP or Northwest Pipe, we will respond to both, as we are very proud of both of those names, and proud of our founders and our humble beginnings. © 2019 NWP Industries LP. All Rights Reserved.